In an effort to prevent VPN use in China and thus the ability to bypass harsh censorship rule, China is now cracking down on VPN apps running inside China by forcing telecom operators to prevent customers from using VPN. The Chinese government intends for all VPNs to be completely blocked by February 2018. By using a VPN in China, you can gain access to all forms of web content. Streaming content, social media, games, and blocked websites like Wikipedia became public knowledge–and this is what China wants to prevent. We just covered a news piece about how China wants to control homosexuality by banning gay content online, but that is only a fragment of how far reaching the Chinese “Great Firewall” has become. A large majority of the internet is blocked for a majority of Chinese citizens, but there are still those out there using apps like TorGuard to gain access. There are reportedly more than a billion active internet Chinese users out there which means that even if a small number of Chinese users are using VPNs right now to access content, the number is still staggering. If even 29% percent of users are using VPN in China, that is still 290 million users. Besides restricting some million of users by banning VPNs in China, Chinese businesses themselves could be affected which could affect the world economy itself. Such instances include workers who need to use Google docs for international collaboration or curators who work overseas. We’ve already seen China make moves against the mobile VPN market earlier in the last few weeks, but if they really want to ban VPNs altogether, this could be a huge controversial issue. However, while the government could have success removing VPN apps from the iOS store or other similar software platforms, it will be hard to completely remove VPNs from the internet. It might be entirely possible to strong arm VPN providers and force them to work with the government, which is what is happening now in China, but stopping VPNs altogether is a huge and perhaps impossible task. The reason being that VPNs and the Chinese government have been playing “cat and mouse” for years now. 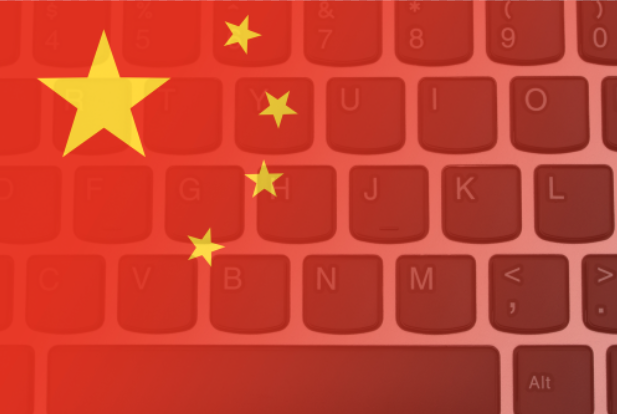 It’s quite easy for a VPN provider like TorGuard that is based overseas to avoid Chinese blockades–and in fact, we continue to do so. “By using TorGuard’s Stealth VPN with OpenConnect and 256-AES encryption, you can be sure your internet in China is secure and unblocked. As Chinese Telcom’s roll out VPN blockades across the country, it is safe to assume all standard VPN protocols may be blocked. This includes, PPTP, L2TP, ipsec, and regular OpenVPN connections. In order to bypass these blocks one must use “Stealth VPN” protocols to appear hidden and avoid DPI censors. The best Stealth VPN options for mobile users are available via OpenConnect (AnyConnect) and OpenVPN obfuscation. Android customers will have the most Stealth VPN options available to them as Android’s OS offers the highest levels of customization. TorGuard’s native Android app is available for direct apk download and offers quick access to all “Stealth” OpenVPN servers. Android users can also take advantage of our new OpenConnnect tunnel option by using Cisco’s AnyConnect client on Google play. IOS users will no longer be able to use their mobile phone’s built in VPN protocols like PPTP and L2TP as these are usually first to be completely blocked. The best way for iOS users to bypass China’s mobile blocks is to download Cisco’s AnyConnect VPN client and connect to TorGuard’s new OpenConnect servers. Because China recently removed all VPN apps from mobile stores, one must first access itunes through a US IP address using TorGuard before downloading the app. When a user is logged into TorGuard OpenConnect VPN, activity appears only as normal SSL traffic without any sign of VPN usage. This means that OpenConnect users cannot be blocked through firewalls such as the “Golden Shield Project” currently active in China. OpenConnect traffic is hidden from prying eyes with AES-256-GCM encryption.